This big body pen never gets lost on a desk top or in a purse. The large body fits comfortably in your hand for easy writing. 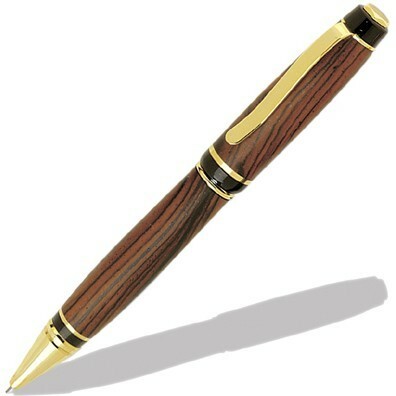 Our new Premier Cigar pen features a high quality, long lasting mechanism. Overall finished length is approximately 5-5/8". 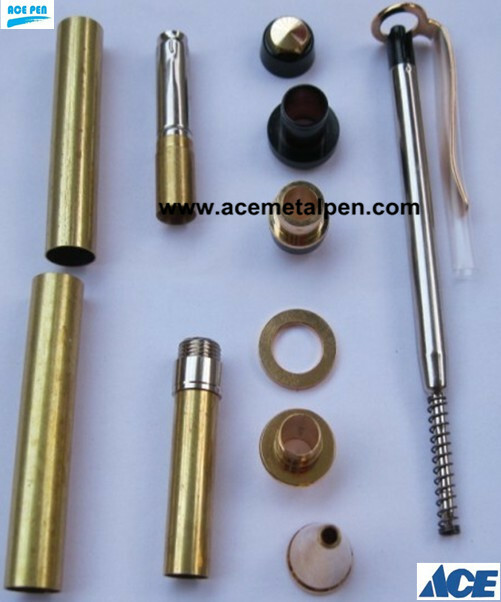 Kit requires a 3/4" x 3/4" x 5" wood blank, 10mm drill bit, cigar pen bushings and a pen maker's mandrel. 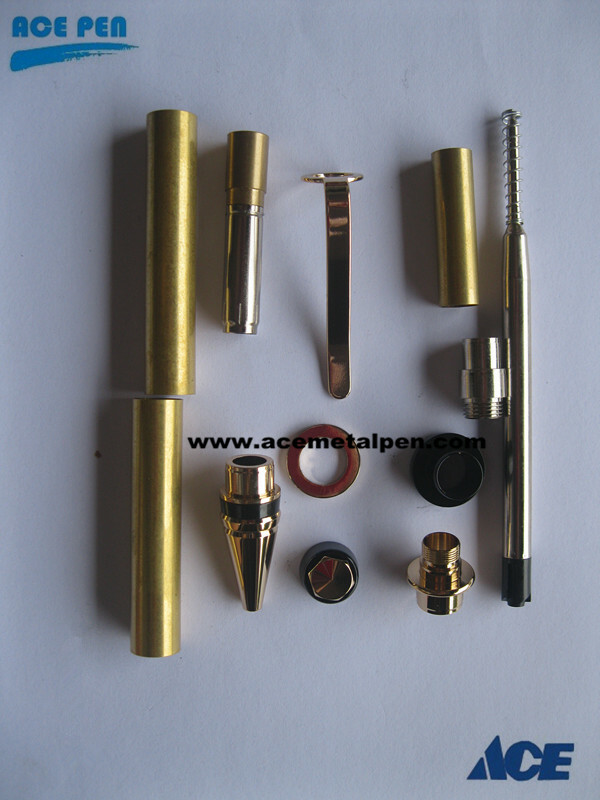 This kit utilizes a Parker style refill and uses a premium double twist mechanism for flawless smooth action.